Since we last heard from KAM KAMA they’ve gone and solidified their lineup. The original founding trio added drummer Clarke Joyner to the mix who has played in former bands like Circuit des Yeux and Dylan Ettinger & the Heat. On top of adding Joyner to the group, it brought along a new chapter in the life of Kam Kama. Thinking back to their EP we covered at the beginning of this year, things have changed quite a bit. Electronic organs and synthesizers are no where to be found on their new 7″, going a long way to confirm a newer yet different sound from the band. Joyner adds a tighter, swifter element to their dark, pulsing sound, overall creating an even more tense and sturdier aesthetic than we heard on the EP. With all that being said, it seems as if Kam Kama are now ready to take everything to the next level and this Passer-By 7″ is just the beginning of it all. At this point it probably goes without saying, but now would be a good time to keep an eye on these guys – we’ll see what the future holds. Until then, go ahead and snag their 7″. If that’s not enough, their debut EP is still available – it comes on white vinyl and is limited to 300. You can also find them on this holiday compilation from Flannelgraph Records. BUY the 7″ directly from Sister Cylinder Records ! 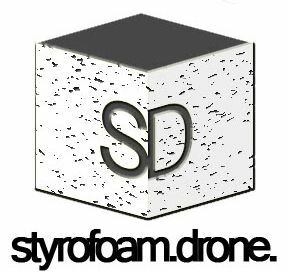 Posted on December 13, 2012 December 13, 2012 by styrofoamdronePosted in 7", ReviewsTagged alternative, post-punk.